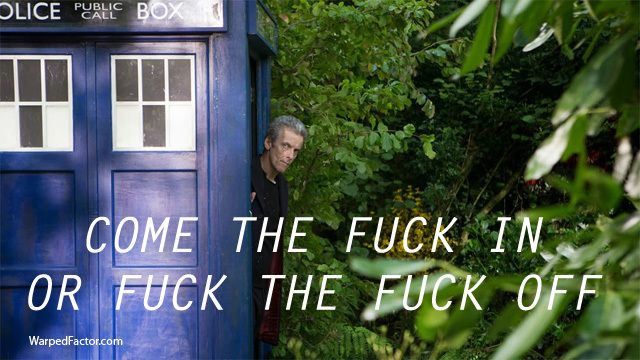 Tucker In The TARDIS | Warped Factor - Words in the Key of Geek. 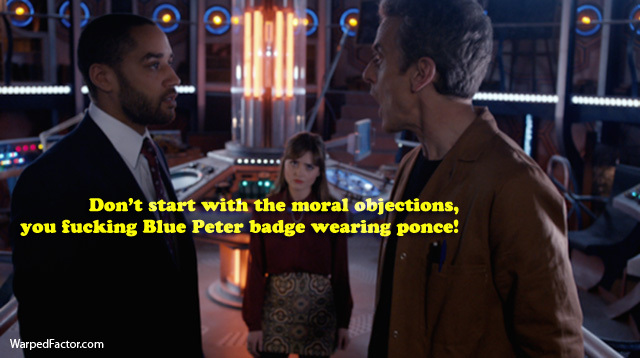 If you haven't already guessed - NSFW!!!! 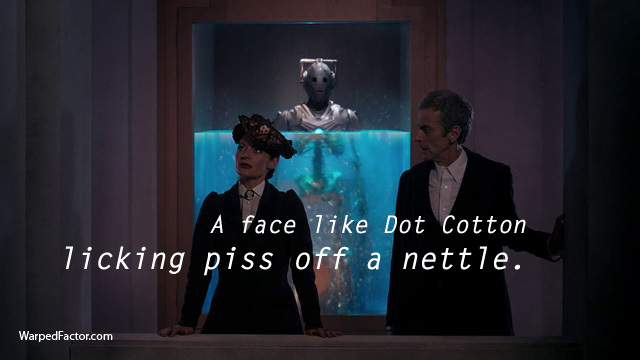 Before Doctor Who returns to our screens this coming weekend we thought it might be a good idea to have a whistle-stop pictorial trip through Series Eight to quickly catch us up on the events of Peter Capaldi's debut year as the Doctor. 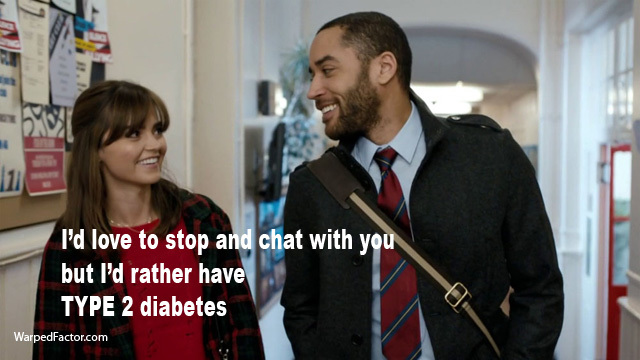 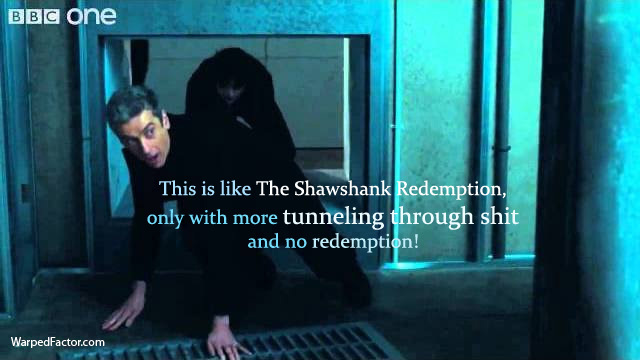 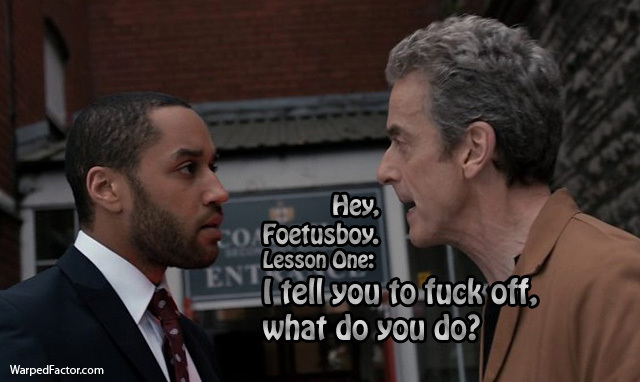 And then we got watching some repeats of The Thick Of It and had a better idea (for better read sillier). 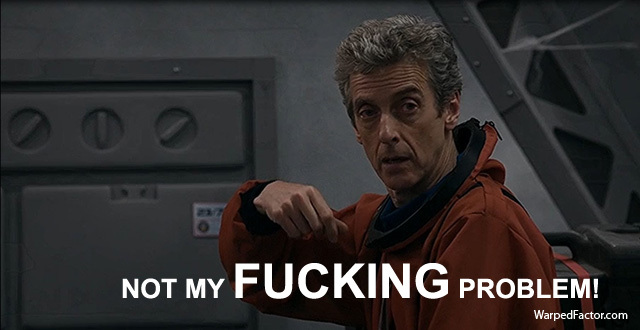 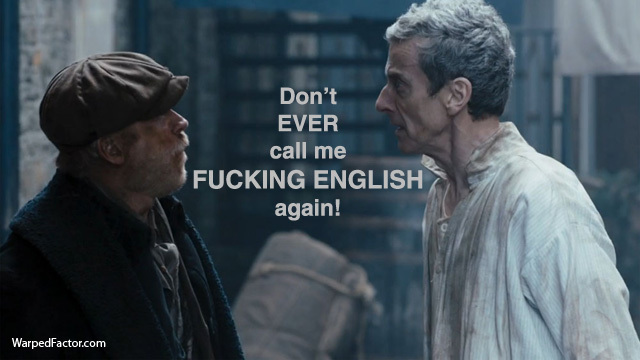 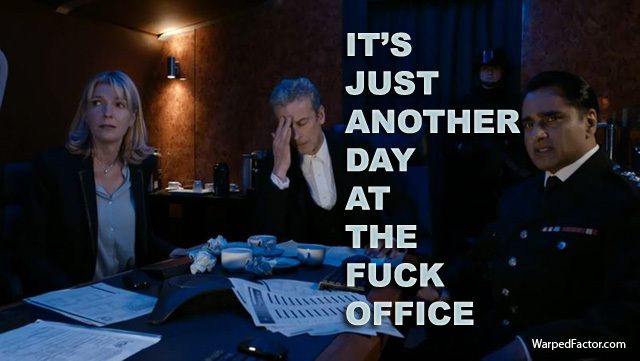 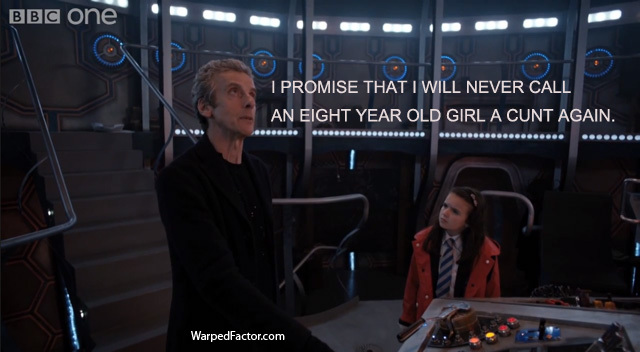 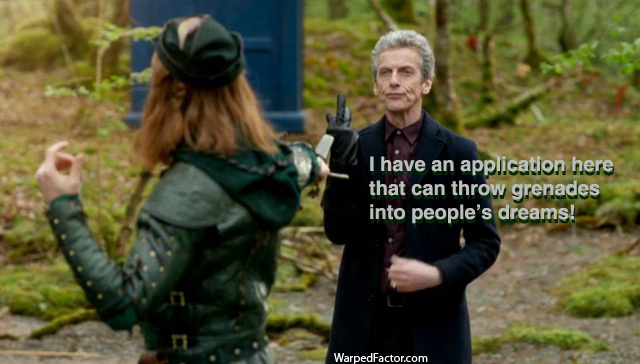 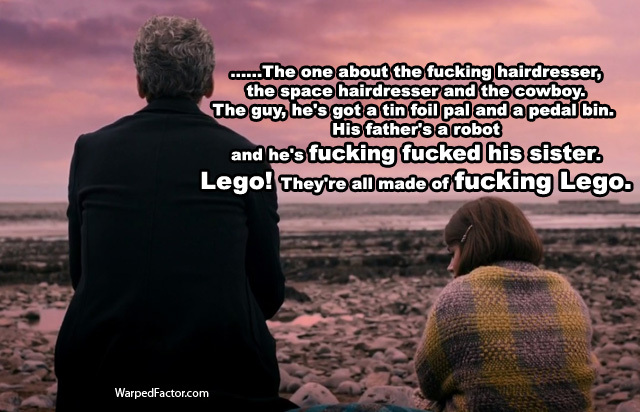 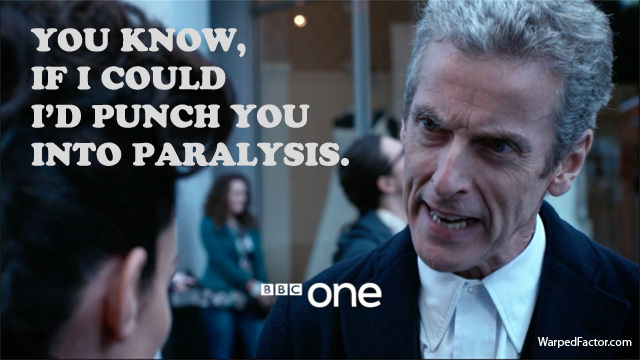 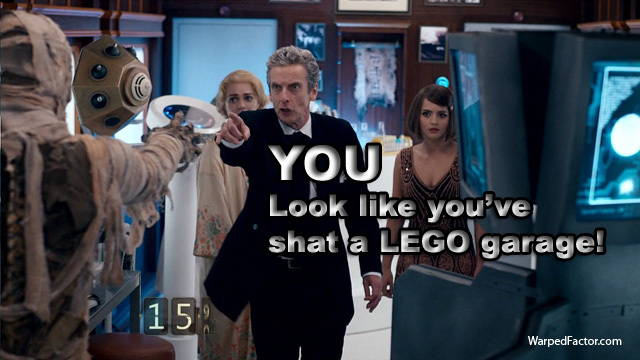 Simply put, what if the Twelfth Doctor was actually Malcolm Tucker? 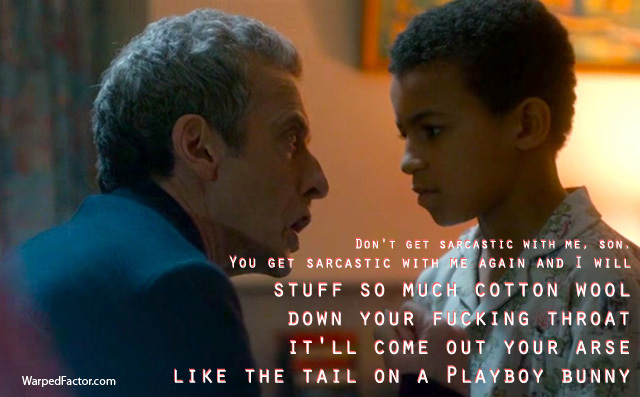 And what if he only used his actual lines from The Thick Of It? 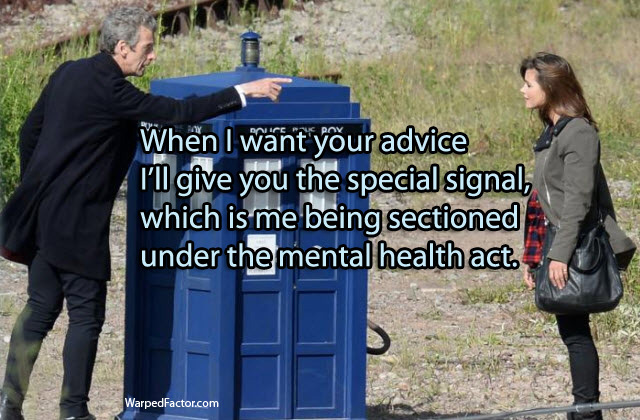 ...she really does make "a very good Doctor", doesn't she? 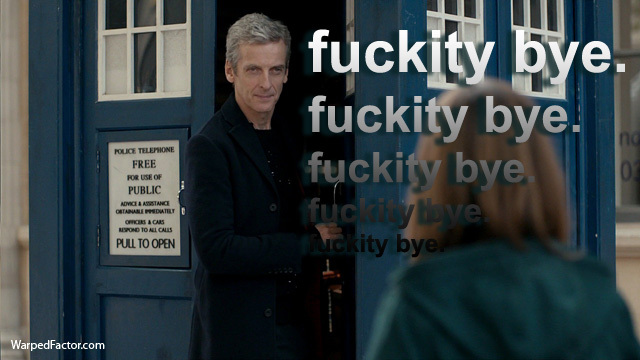 Doctor Who returns Saturday 19th September. 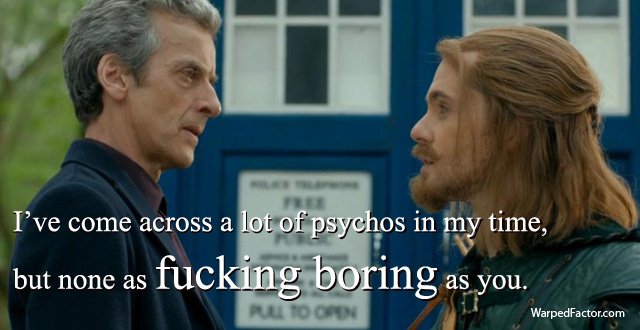 It's unlikely there will be any Malcolm Tucker quotes involved.